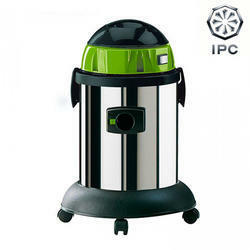 The CUV 18 is a professional upright vacuum cleaner with working width of 45 cm. with its exclusive design it offers technological solutions that improve efficiency and comfort during use. The EcoCMat system combines the latest wash technology with a flexible storage and retrieval cell to clean and dry work pieces in baskets without manual stacking and de-stacking, and without the floor-space requirements of traditional solutions. Owing to our years of industrial expertise, we have been capable of serving to our patrons with a wide collection of Dry Vacuum Cleaner. Extensively used in industries for a variety of applications, these are built using topnotch basic material along with contemporary tools. In addition, these could be altered to match with the segregated desires of our patrons. 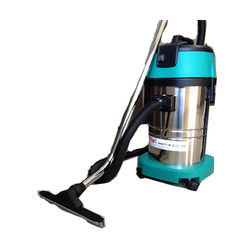 - Continuous Heavy Duty Wet & Dry Vacuum Cleaner. - Portable, easy release containers. Why restrict yourself to just a dry cleaning experience Forbes makes multiple cleaning options possible. - Total Power Max 2400 Watt. - Voltage 220 V / 50 Hz.